MTV Media is Finland's largest commercial broadcaster. It was founded as Mainos-TV in 1957, which makes it one of the oldest private broadcasters in Europe. Today it has grown into a large audiovisual company with three national free-to-air channels, a national radio network, a bunch of sports and entertainment channels and online operations. Yesterday, August 29, MTV unveiled a new company logo as the first part of a company-wide identity programme. The development was lead by DixonBaxi, who worked with MTV to clarify their strategy. They also helped building a new brand architecture and will bring the company's many brands to life across platforms later on. Two Finnish agencies were also involved, BrandWorxx worked with brand hierarchy and analysis tools, while Family Inc updated business-to-business advertising. At the moment, the logo is the only element to have been revealed. It combines a circle shape with a corporate red colour. The identity is built around the new brand positioning "MTV for Experiences". Stay tuned for more on this project later this autumn. TT, or Tidningarnas Telegrambyrå, is Sweden's largest news agency, in operation since 1922. Over the years it has expanded to include a photo agency, a graphics agency and video material. Yesterday, August 28, the company unveiled a new unified company brand, intended to replace four different brand names that up until then had been used for it operations. The new brand name is TT Nyhetsbyrån, which replaces TT Spektra, Scanpix, Svenska Grafikbyrån and Tidningarnas Telegrambyrå. Swedish design agency Blink created both the brand architecture and the visual identity. The logo should symbolise "an alert eye to the world". 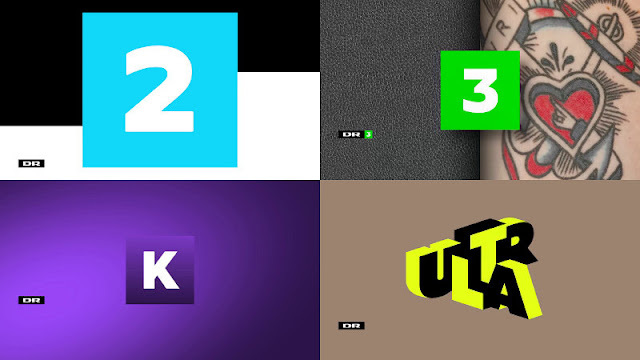 In 2011 and 2012 I published a bi-annual post called the "TV logo round-up", a collection of new logos for TV channels unveiled in the past half year. I retired it quietly this year, but after some requests for its return I've decided to revive it. The logos below where revealed or introduced between January and June this year. If you feel there's something missing, please do post a comment below. NuvoTV is an American cable TV network that targets the Hispanic community with programming in English. 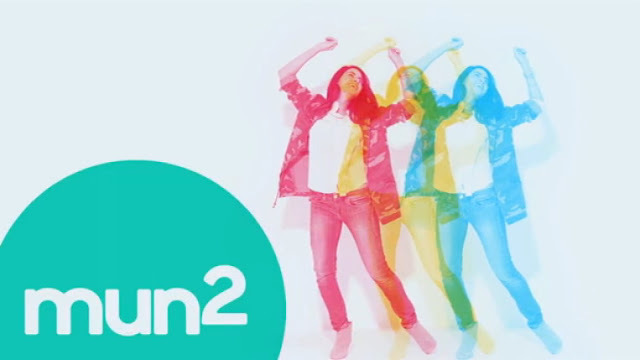 Launched in 2004 as Sí TV, it became NuvoTV two years ago. At the upfronts this spring, NuvoTV announced that it had hired none other than Jennifer Lopez as its chief creative officer and that it would launch a new look. The new logo was unveiled in May 15, and launched on July 1. The new logo is described as "progressive" and "sleek" and came with the tagline "We Are It". The new look was developed by Eyeball, independent creative director Juan Rosenfeldt and Nuvo's in-house team. Grand Union was once a national supermarket chain in the United States with stores all over the country. Several decades later if had gone through a steady decline until it was just a handful of stores in north-eastern United States. That came to an end at the beginning of this July this year when the remaining stores were rebranded and Grand Union was confined to history. Why is this particular supermarket chain of interest to this blog? Because for a long time its identity was shaped by prominent New York graphic designer Milton Glaser. His cooperation with Grand Union started in the 1970s when then-owner James Goldsmith decided that his chain needed a new look. Rather than hiring one of many firms specialized in retail design, he contacted Glaser who was famous for designing the I Love New York logo, psychedelic posters, and magazines like New York and Esquire, but didn't have any professional experience in retail. Colombia's national broadcaster went through a rebranding exercise at the end of June. Having previously used different names and visual expressions for different channels it now presents a unified identity across radio, television, the internet and on the corporate level. They have done this by transferring the symbol and name of their primary TV network, Señal Colombia, to all other properties. The parent company, which used to be called Radio Televisión Nacional de Colombia (RTVC), is now Señal Colombia Sistema de Medios Públicos. The "institutional" TV network Canal Insitutional has become Señal Institucional, while the two radio networks, Radio Nacional de Colombia and Radiónica, have become Señal Radio Colombia and Señal Radiónica, respectively. AirAsia Japan is a budget airline operated as a joint venture between Malaysia's AirAsia and Japan's All Nippon Airways (ANA). AirAsia recently decided to pull of of the venture, leaving ANA as the sole owner. As a result, the airline announced on Tuesday, August 20, that it would rebrand as Vanilla Air. The name is said to have been chosen because the taste of vanilla is "loved by everyone around the world". The Western connotations of the word "vanilla" as a synonym for bland or boring do apparently not translate to Japan. RTL4 is the most-watched commercial television channel in the Netherlands, and also the flagship of RTL Nederland, the country's largest commercial broadcaster. Two of RTL's other channels were given new logos last year, and now RTL4 is following suit. A new logo was revealed yesterday, August 20, and is due to to launch as part of a new on-air graphics package on August 26. The logo and the graphics package were created with Findesign, a Dutch broadcast design studio who also worked with RTL4 on their previous on-air design in 2008. The signature orange colour from the previous logo has been retained. The Sundance Institute is a non-profit organisation dedicated to supporting independent film makers around the world, founded by Robert Redford in 1981. Yesterday, August 20, it launched a new visual identity, created by Paula Scher of Pentagram in New York. The new identity is built around yellow circles, an allusion to the name of the institute. The circles can be arranged in a myriad of creative ways which makes this a very flexible identity. The logos also use different numbers of circles in different yellow hues. 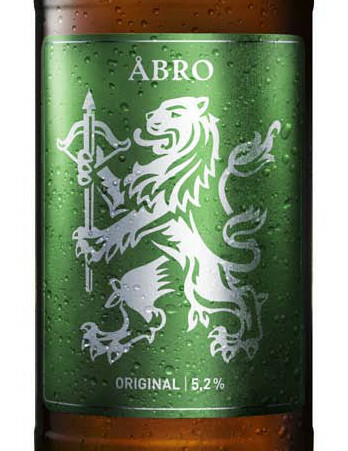 Åbro Original is a Swedish beer brand, and the flagship product of Åbro Breweri. Since its introduction in 1992, its packaging had only seen minor alterations until a few months ago when a completely re-imagined look was introduced. It was created by Bold in Stockholm. After a survey it was determined that the existing wordmark, the lion and the green colour where the most important brand assets from the previous packaging. Everything else was removed and the new design features clean bottles dominated by a silver lion, which has been given more fine details. Denmark's public broadcaster, the Danish Broadcasting Corporation, also known as DR, relaunched many of its TV channels earlier this year. In the process they introduced a new corporate identity and a new logo system. The basic logos are quite similar, so its falls on colour coding and television graphics to differentiate the channels from one another. This article will take a glance at the graphics packages produced for four of these channels. They all launched this past spring and were produced by the in-house bureau DR Design. And here's your logo round-up for July 2013. A month filled with curious rebranding stories from around the world. Budget Direct is an Australian provider of low cost insurance in various forms. Last week, it launched introduced a new brand identity, created by branding agency Hulsbosch. The aim was to reposition the brand as being about somewhat more than low prices. Hulsbosch has worked to bring clarity to Budget Direct's offering with straight-forward. They also created new mascots to represent the brand in the form of friendly aliens. Nokia Siemens Networks used to be a joint-venture between Siemens from Germany Nokia from Finland that produced telecommunications infrastructure. Siemens were recently bought out by Nokia, making it a wholly owned subsidiary. The Siemens name had to go. But Nokia wanted to keep the acronym and renamed the company NSN, which is supposedly an abbreviation of Nokia Solutions and Networks. The new corporate identity was unveiled on August 7, 2013. Brandimage is a brand consultancy network with seven offices in the US, Europe and Asia. It was formed five years ago from the merger of Desgrippes Gobé and Laga and has designed the current brand expressions for the likes of Air France and Sunkist, and some others that have been featured on this blog. In 2011 it was bought by Schawk, Inc, who also own another branding firm called Anthem Worldwide. In July, the firm took another evolutionary step forward with a new identity. The full name, which used to be “Brandimage – Desgrippes & Laga”, was shortened by removing the legacy names of the two firms that preceded it. The Chicago office took the creative lead in coming up with the new identity, although the other branches were also involved. Most other large branding agencies tend to rely on the equity built up in their names with solid wordmarks as logos. Brandimage went in a more expressive direction with an identity built to communicate the agency's mission to link insight, strategy and design to make brands stand out and tell their stories. Moova is a premium brand for Turkish dairy products the family-owned Efeler Çiftliği. The brand was developed by Landor and launched way back in the year 2011, but Landor themselves didn't really bring worldwide attention to it until this week when a case study was published their website. Efeler had previously been a producer of milk for its local market, and Moova was a succesful attempt to bring its products to a national market. The strategy is summed up as "The goodness of life" and is focused on Efeler's natural products. The name combines "moo" with the Turkish word for valley. The simple geometric letterforms from the logo are used extensively. The circles should bring the mind to glasses of milk and are used for liquid products, while triangles resemble blocks of cheese and are used for all cheese packaging. Mun2 is a US-Hispanic cable TV network owned by NBCUniversal. It is the sister network of Telemundo and targets a younger audience, so called "millennials" in marketing speak. Recently, it introduced a refreshed on-air and off-air look, created with Gretel in New York. The new look features images of hip Hispanic young adults in eclectic, fast-moving overlay animations in different bright colors. Important information is delivered both in English and Spanish using Fatype's U8 Bold typeface. The existing logo has been updated and enclosed by a circle. The package is launched with a series of promos that play on the mixed English-Spanish culture of its viewers. Smoothie King is an American chain of smoothie bar franchises that started out in Louisiana in 1973 and has since grown to over 650 locations, some of which are located in the Caymans, Korea and Singapore. Last week, on July 31, it introduced a new company logo, creeated by retail design agency WD Partners. Ciné FX is a French television channel dedicated to science fiction and horror movies. Last week, on August 1, it introduced a new visual identity. Although the new logo looks a lot like the one of an American cable network with a similar name, the two are unrelated. The logo can be colour-coded based on different genres. Bright green means sci-fi, brown is for monsters and a bloody red is for slasher films. No rationale or design credit appears to have been given. Last weekend saw the opening of a new science museum in Trento, Northern Italy. Named MUSE as an abbreviation of its Italian name, its visual identity was developed by Harry Pearce at Pentagram in London. Trento is located in a valley, and the folded logotype is inspired by the relationship between the mountains and the valley. Its three-dimensional nature means it can be integrated with imagery in interesting ways.